Humans have several different body rhythms working simultaneously. For sleep, we have a circadian rhythm where our energy dips down and goes up throughout the day. We also have something called a homeostatic rhythm – what we do to burn energy and create the need for sleep. If these two rhythms are working together, sleep comes much more easily. For children with special needs, physical activity is crucial for sleep for another reason — physical activity exercises the respiratory system. This allows more oxygen to get to the brain — the brain’s primary fuel! Not only does exercise help with inconsistent breathing patterns at night, but it gives the brain what it needs to do all the complicated tasks it has to do at night. For toddlers and older children, there are lots of great activities that can help create the need for our body to sleep. This includes hiking, running, biking, swimming, playing games in the back yard, a trip to the playground, and more. I recommend at least 60′ daily for sleep. The best time of day to get this activity is in the morning. We’re all coming off a (hopefully) good night’s rest and exercise in the morning gets the day started off right. Be careful not to do too much activity close to bedtime as you run the risk of getting your toddler a little too revved up before bed, making it a bit more difficult to settle for the night. And, what about babies and immobile children? I am a firm believer that “tummy time” or floor time is crucial for babies and children with special needs. It’s important to help achieve not only mobility milestones, but it helps to achieve milestones in areas of vision, hearing, talking, and more. That’s because with more tummy time, the brain starts to make the connections to do higher level activities! Give your child the opportunity to explore the environment – if they can crawl on their bellies, do lots of it. If they can creep on their hands and knees, again, do lots of it. If you have a very young baby, just having the opportunity to be on the stomach begins to open the door to those higher levels of function. If your child has trouble staying on their tummy, or doesn’t enjoy tummy time, start with really short sessions throughout the day. This allows them to become more accustomed to this position and it allows for success from the very beginning. Even if it means it’s only a few seconds at first, celebrate when your child has been on their tummy! If they see mommy or daddy is happy with what they’re doing, they’ll keep doing more of it. Gradually, the time can increase as your baby gets accustomed to the floor and as they start to figure out how to use their arms and legs. So, get moving to get sleeping! If your little one struggles to sleep well through the night look at what they are doing during the day and see what fun activities you can incorporate in your day for a better night’s rest. Exhausted and ready to get help?  Contact Melissa and book your discovery call!